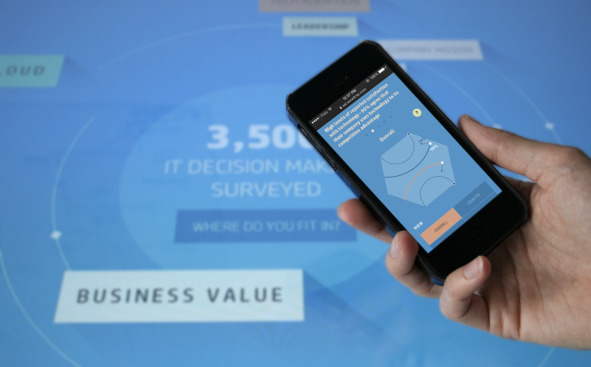 Conception and art direction for HP What Matters, an interactive experience that presents the survey results of 3,500 IT decision-makers on both touch screens and desktops. 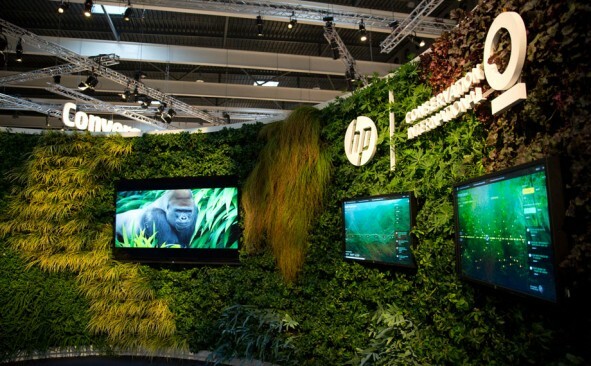 Concept and art direction for HP Earth Insights, an innovative collaboration between HP and Conservation International that applies big-data-processing technology to monitor biodiversity loss across the world’s tropical forests. 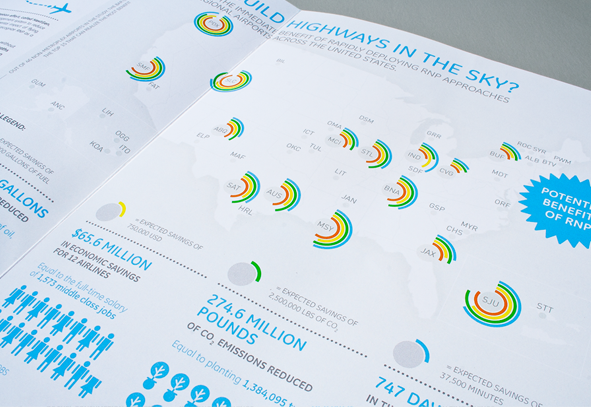 Winner at AIGA Justified 2014. 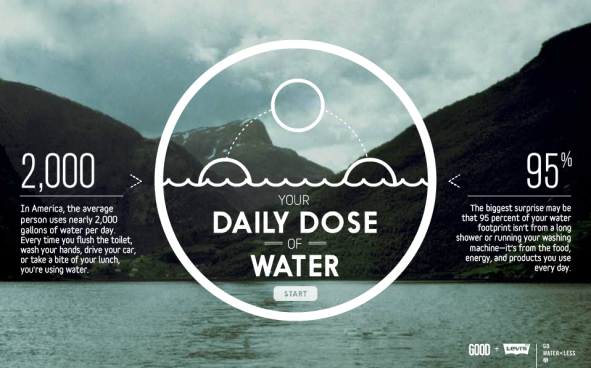 Art direction for a GOOD/Levis interactive that reveals your water consumption through a typical day. 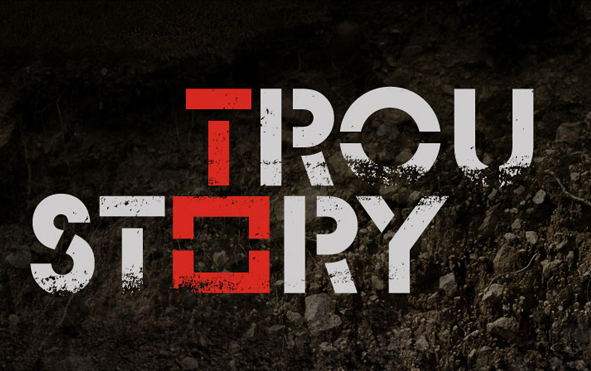 Concept and storyboarding for the NFB interactive feature of the documentary Trou Story (Hole Story) by Richard Desjardins. 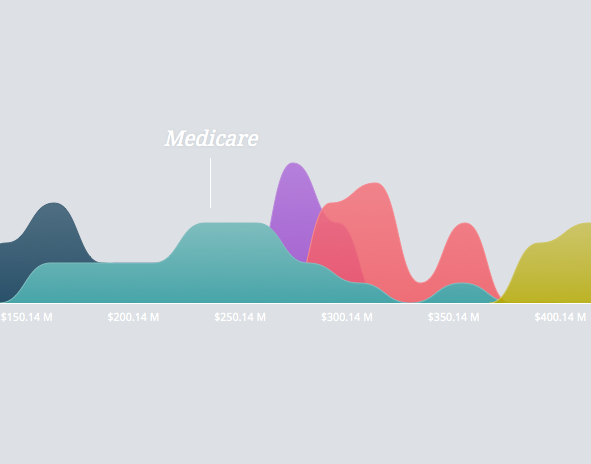 UX/UI and art direction of a web application for visualizing the US Federal Budget. 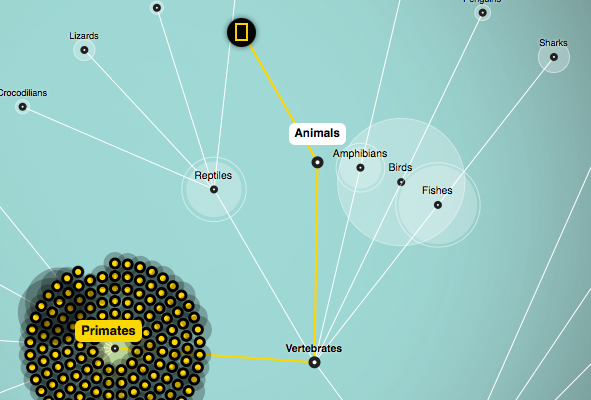 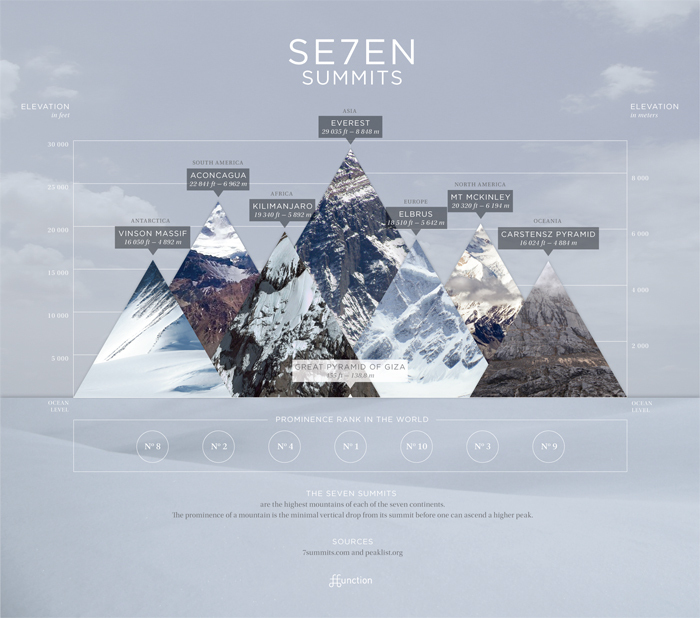 Finalist of the Google DataViz Challenge. 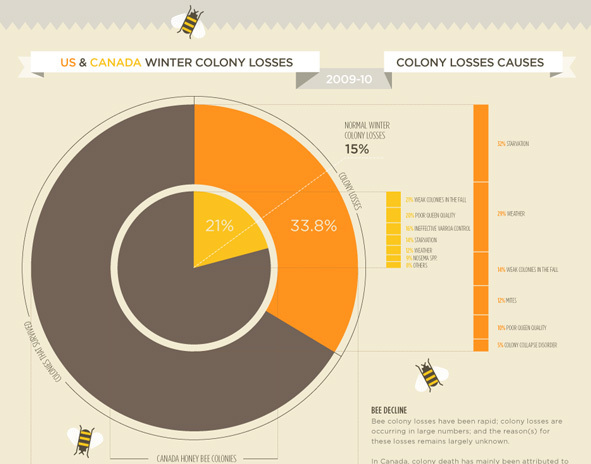 Infographic about the sharp decline of the North American honeybee colonies. 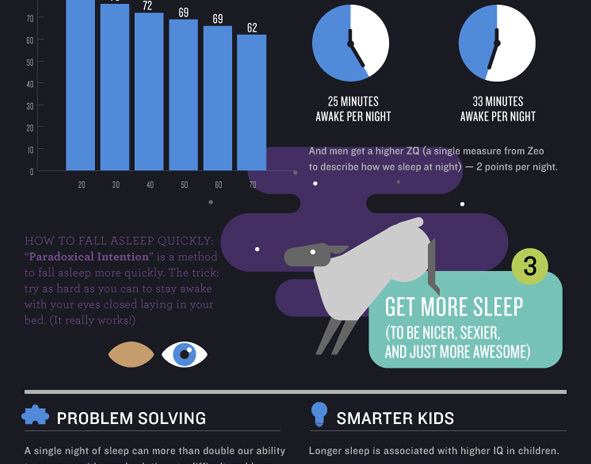 Infographic about sleep for Julien Smith and Zeo. 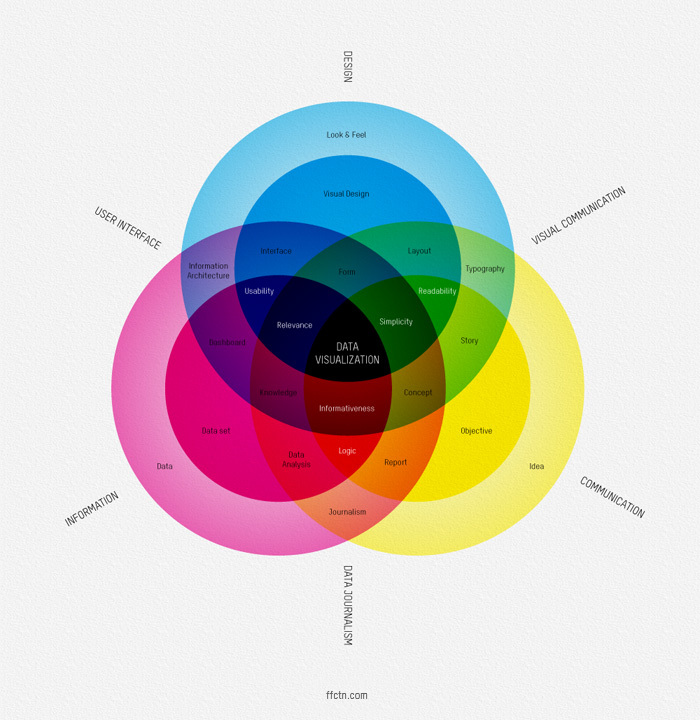 We made a diagram to help explain what is data visualization.